SUNY Oswego's Rice Creek Field Station will offer scholarship assistance to a limited number of children who otherwise might not be able to attend its summer programs, Exploring Nature (pictured in 2014) and Conservation Field Studies. OSWEGO — SUNY Oswego’s Rice Creek Field Station will provide some financial assistance to a limited number of children interested in its summer programs, Exploring Nature and Conservation Field Studies. 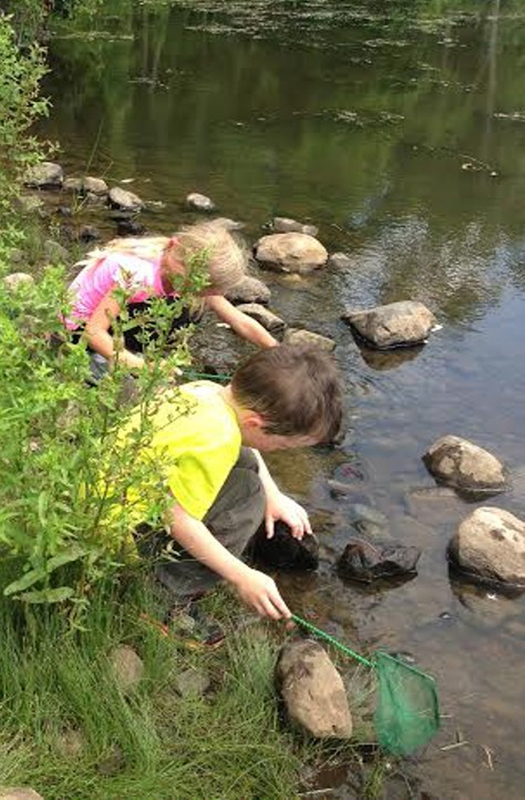 SUNY Oswego’s Rice Creek Field Station will offer scholarship assistance to a limited number of children who otherwise might not be able to attend its summer programs, Exploring Nature (pictured in 2014) and Conservation Field Studies. The scholarship applications, available for printing at oswego.edu/ricecreek/programs, require that children be eligible for free or reduced lunches and have a copy of the award verification from the school district. The information is confidential, and will not be shared. The deadline for submitting Exploring Nature scholarship applications is March 1, according to Diann C. Jackson, program director at Rice Creek. The deadline for Conservation Field Studies scholarship materials is April 1. Exploring Nature, a day program with activities encouraging children ages 5 to 13 to discover nature firsthand, will run July 6 to 10 and/or July 13 to 17. Conservation Field Studies, an education program designed for high school-age children to investigate Rick Creek’s ecosystems through field studies and projects, will run 3 to 5:30 p.m. Monday through Wednesday, July 20 to 22, and 7:30 to 10 p.m. Thursday, July 23. Registration materials for Rice Creek’s summer programs also are available at oswego.edu/ricecreek/programs.